In early April 2014 we began issuing the purchase orders for the tens of thousands of components and materials required to build the machinery for the 2350 space robotic parking garage. Many of the parts have normal lead times of 4 to 6+ months. Fortunately, we have some great vendors who were able to expedite our orders to help us meet some very tight delivery deadlines. 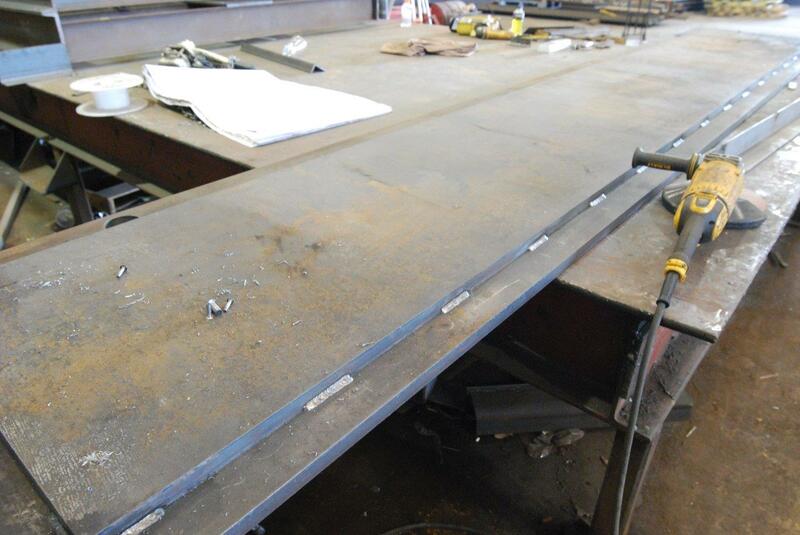 While waiting for the mechanical and electrical parts to begin arriving, steel was ordered; and the fabrication teams began building the frames for the Robotic Parking System Vertical Lift Conveyor (VLC) machines and counterweights. VLC machines are used to lift and lower cars from one level of the parking facility to another, similar to an elevator. 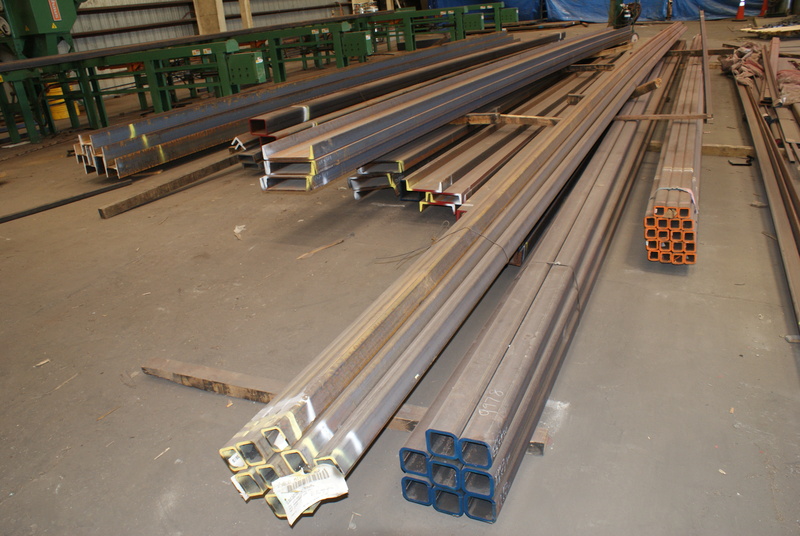 Steel begins arriving to fabricate Robotic Parking System machines. 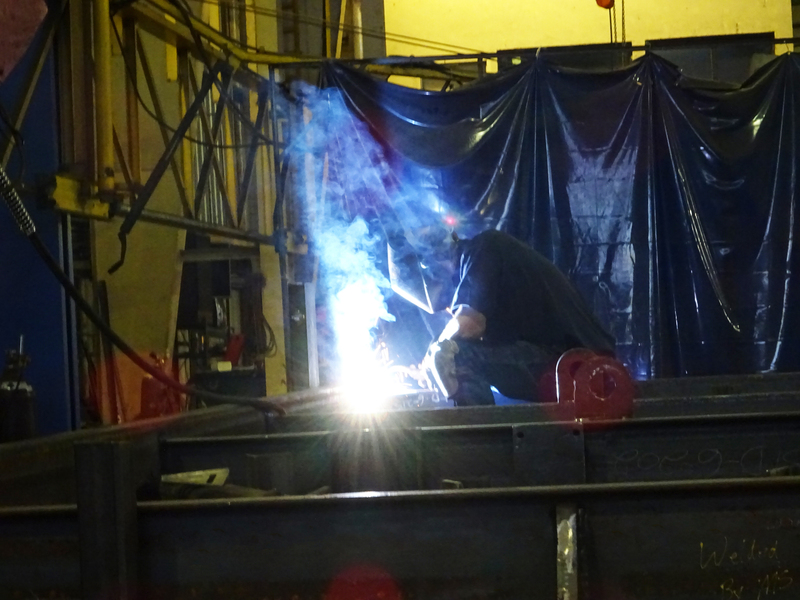 Welding the frame for the Robotic Parking Systems’ Vertical Lift Conveyor (VLC) machine. 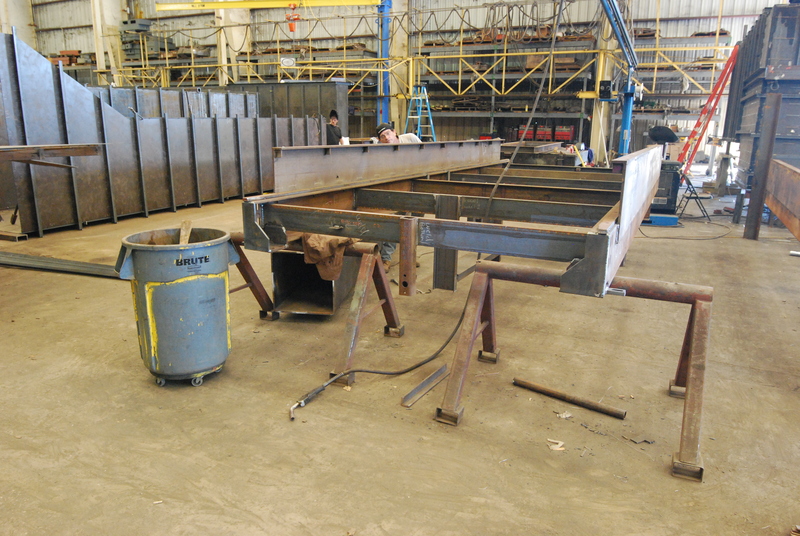 Pre-fabrication of Vertical Lift Conveyor machines. 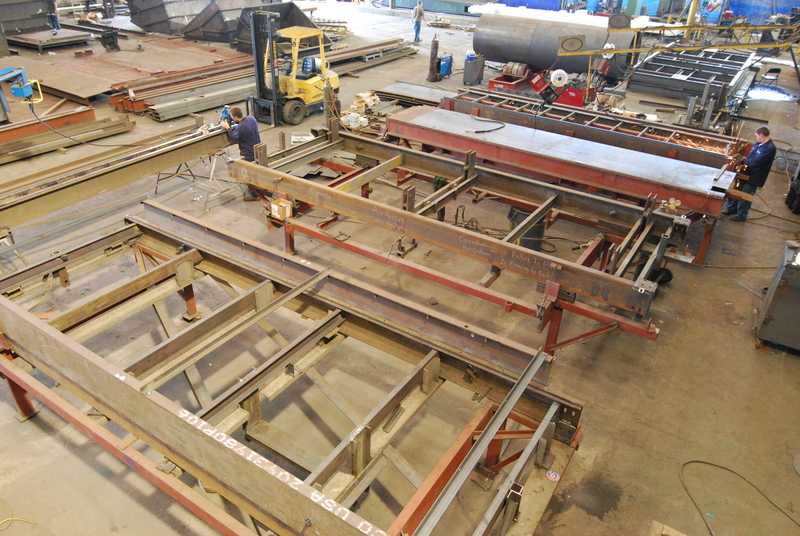 Frames are fabricated for the Robotic Parking Systems’ Vertical Lift Conveyor (VLC) machines. Counterweights for the Vertical Lift Conveyor machines are fabricated.